they have no validity except for two of them. how to write, what not to write. Another Niyama that should be followed is Āhāra Niyama. according to age, profession, etc. a young boy could eat as much as he liked. 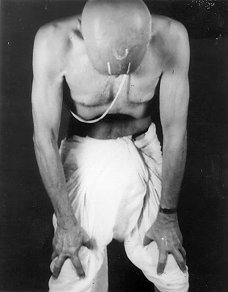 that I don’t think anybody can identify ‘Krishnamacharya’s style’. no, no, this is what he taught me. they have to be taken as a group and as a composition. “Then he has certain ideas also about Kuṇḍalinī. 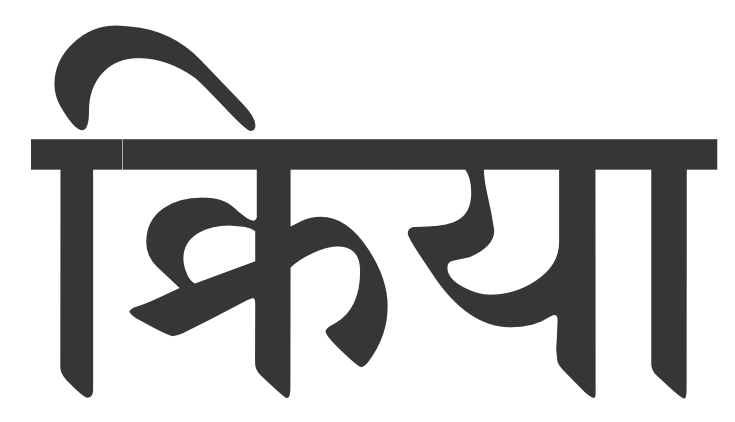 the force called Śakti or Kuṇḍalinī is indeed Prāṇa. “There is another practical thing, it is like what we call Vinyāsa. First, from where is the student coming? What is called Deśa. Is he from America, or is he from North India? Teaching must consider whether the person is from one country or another. 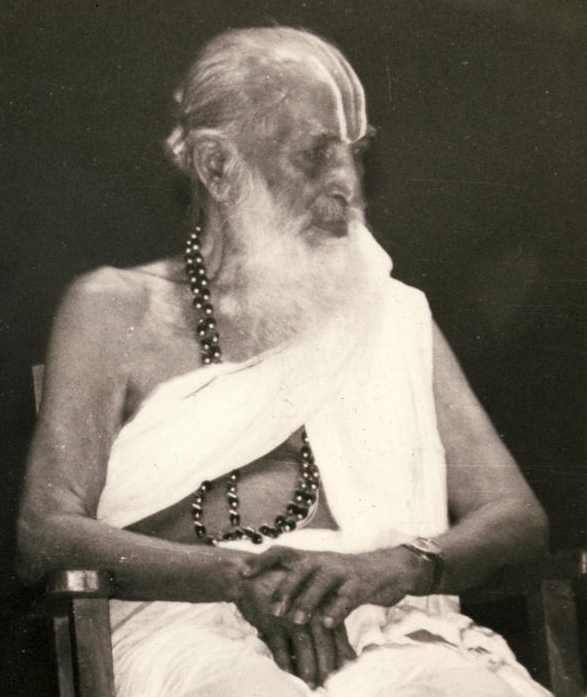 “There are also fundamental differences between Yoga and Vedānta. 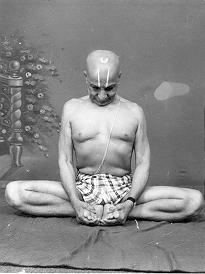 And, if at all we can link them, it is as follows: Yoga is a means towards Vedānta for those who are interested. Vedānta involves a lot of enquiry and reflection, and also demands the development of Bhakti, and, for both the mind and for the individual, Yoga is the means towards Bhakti. 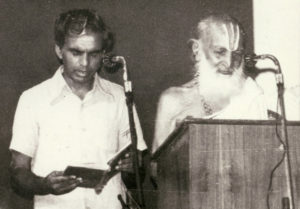 – TKV Desikachar from lectures on ‘The Yoga of T Krishnamacharya’, given at Zinal, Switzerland 1981. 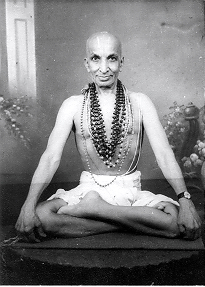 Thanks to him, it is possible to say that there are certain distinctions between Yoga and Hinduism. It is only through a deep understanding of family life that one can go beyond it……. “He insists that it is very important for a human being to go through family life. It is only through a deep understanding of family life that one can go beyond it. “Then, he has also some views on Dhyāna. 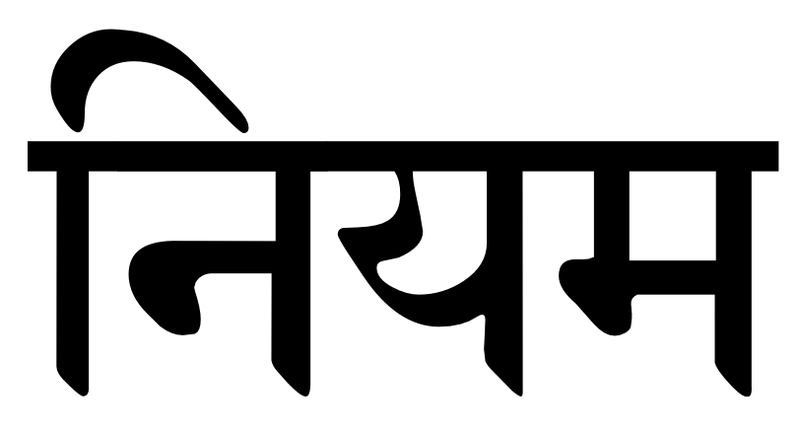 Since Dhyāna is a characteristic of mind, and since the mind is limited to form, Deśa, or the object of meditation, must be Saguṇa and not Nirguṇa. is certainly going to do more harm than good. some have acid problems, some are nervous. “He has very clear ideas on the Ṣat Kriyā and the Mudrā. “Now let us go to some of his views on matters of interest. He believes that the only Yoga text that has any clear presentation of Yoga is the Yoga Sūtra. But, he says, Rāja Yoga is just words without Sādhana, just like I read the other day, that philosophy itself is more interesting than any result from it. 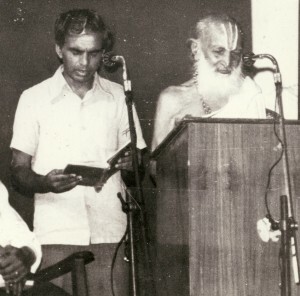 “Another contribution, I feel, is how he utilises the Yoga Sūtra in the practice. people thought I was talking about Greek civilisation or something. would have made me think it just another of those useless books on India. “Another thing that he made very simple, and practical, is the use of Mahā Mudrā. but when you start looking at the texts, nothing is clear there. 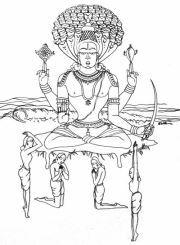 “Further, he also added long ago, the idea of Bhāvana in the practice of Prāṇāyāma. Long, long ago, he said, the breathing, inhalation, exhalation and retentions have some sort of relationship with the highest force, Lord Nārāyaṇa. Inhalation is like an inspiration from God himself. Retention is some sort of meditation, because you are with Him. “One of the most complicated aspects of Yoga practice is the Bandha. He has been able to link correctly various ideas on the Bandha that appear in different texts, and is able to say that certain Bandha can only be done in certain parts of the Prāṇāyāma. 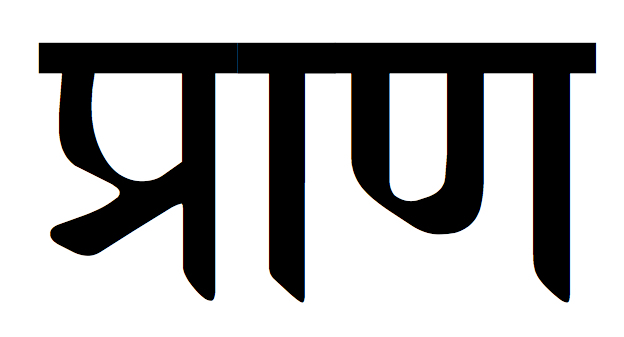 the different Vṛtti, the different Krama, he put them all into practice. 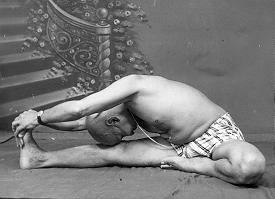 he strongly believes that the beginning of Prāṇāyāma is in Āsana. “Finally he conceived the idea of what is called Vinyāsa. 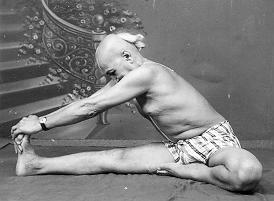 In fact, in the beginning of his teaching, around 1932, he evolved a list of postures leading towards a particular posture, and coming away from it. 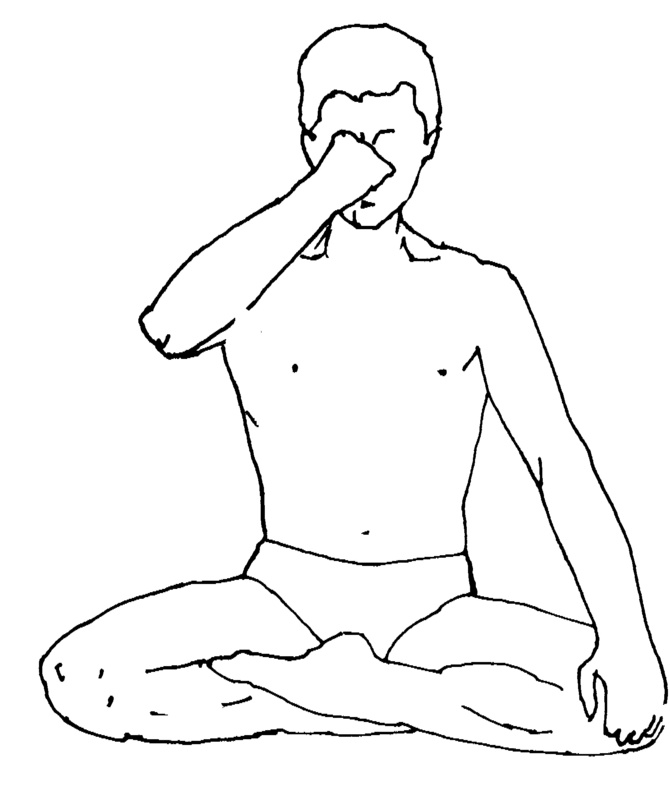 This is different Āsana linked to one another in a scheme as though one posture leads to the following one. And this scheme was very important, especially for children, who find it very interesting. He continues to have the same faith in this, although you cannot always follow these schemes for adults or people who are sick. the idea of compensation and counterpose. 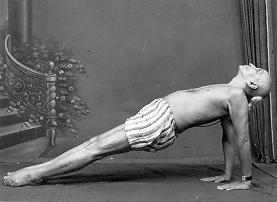 “Most importantly, he also has gone to the final limits of the use of the breathing in postures. He found, and he insists, that breathing is an essential tool in the practice of Āsana. 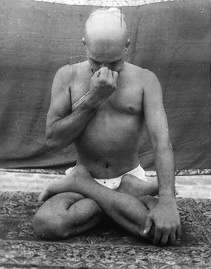 Varying the way to breathe, varying the length of the breath, using different combinations of postures and breath, he has proven that it is possible to modify postures to meet the requirements of individuals. 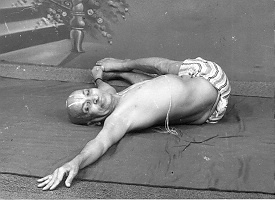 “The person who taught me how to vary postures, to bend the legs, to turn the neck, all the simple and complicated variations, as necessary, is Krishnamacharya. It is important to vary each posture according to the individuals requirements.